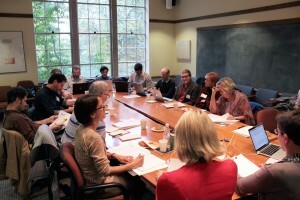 The Relational Poverty Network convenes a community of scholars, working within and beyond academia, to develop conceptual frameworks, research methodologies, and pedagogies for the study of relational poverty. Launched at a historical moment of dramatic income inequality and enforced austerity in the global North, the RPN thinks across geographical boundaries to foster a transnational and comparative approach to poverty research. In doing so, it pays attention to new global geographies of development, new forms of regulating poverty, and analyses from those often marginalized by poverty debates. Building on a long tradition of critical work on poverty, it shifts from thinking about ‘the poor and poor others’ to thinking about relationships of power and privilege.